The Edit. This Year’s Best Luxury Advent Calendars. As we got older my Grandma would buy me and my brother a chocolate calendar each year (mum was livid) and finally we were able to experience the odd tasting milk chocolate that only a Woolworth’s Advent Calendar can ever really give you. Now, as an adult of 31, I’m unashamed to say I buy my own each year. Generally always Milkybar. 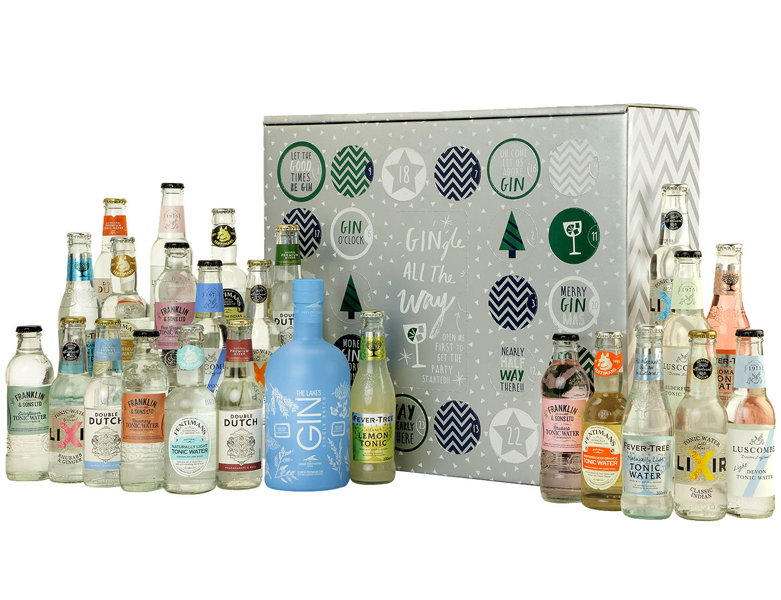 If you’re a little bit more sophisticated in your purchasing habits than I, 2018’s luxury advent calendar options are epic. If you needed any help in deciding exactly which one to treat yourself to, or perhaps which link you need to send on to your other half, look no further. I’ve got you covered. The packaging on John Lewis & Partner’s 2018 calendar receives my full seal of approval. As does the fact it includes treats from Diptyque, REN, Laura Mercier, This Works and even HERMÈS. The only down side here is the fact each treat sits within in an unsealed drawer. There’s not a chance I wouldn’t be peeking pre-December 1st. If you’re going to go chocolate, go chocolate. 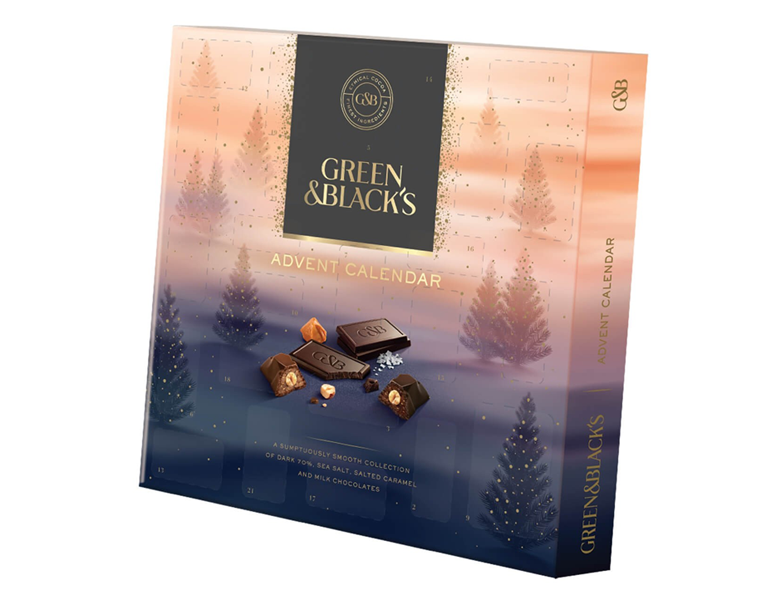 Green & Black’s Luxe edition has already been purchased and sits in my spare bedroom at present, nestled atop a pile of Christmas presents. Yup. I have already started shopping and there is already a pile. Yes, that is a £320 Advent Calendar. Festive perfection unfortunately does not always come cheaply. Behind the 25 doors you’ll find 15 votive candles of the brand’s most popular candles (including Baies, my all-time favourite) as well as body creams and perfumes. It most definitely isn’t for those looking to have a thrifty Christmas, but if you feel you deserve a daily dose of Diptyque, much like with the daily dose of gin, we won’t be judging. I would probably go as far as to say I despise the taste of both gin and tonic so this one is well and truly not for me, personally. It is however perfect for the 99.9% of the population who seem to be gin worshippers. There’s potentially something a little incorrect about receiving a miniture bottle of alcohol each morning, so perhaps open it on an evening after you return from work? Granted that will make for a boozy December, but there’s no judgment here. Do as you must. When it comes down to it, Jo Malone London will always have been heart. As saccharine as it may sound, as a brand it’s just one I invest into wholeheartedly. Their array of fragrances teamed with their stylish delivery of just about every single aspect of their offering gets me every time. Their epic Luxury Advent Calendar is filled with their most famous creations; colognes, votive candles, body cremes, you name it and it’s present. 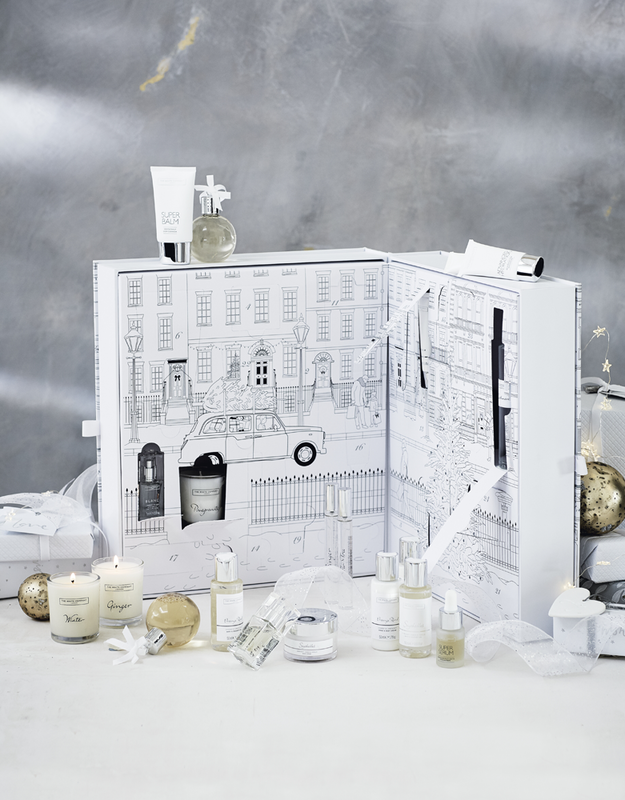 All beautifully presented in the classic Jo Malone London Townhouse. I know many a person for whom the thrill of a new notebook is one of life’s greatest pleasures. 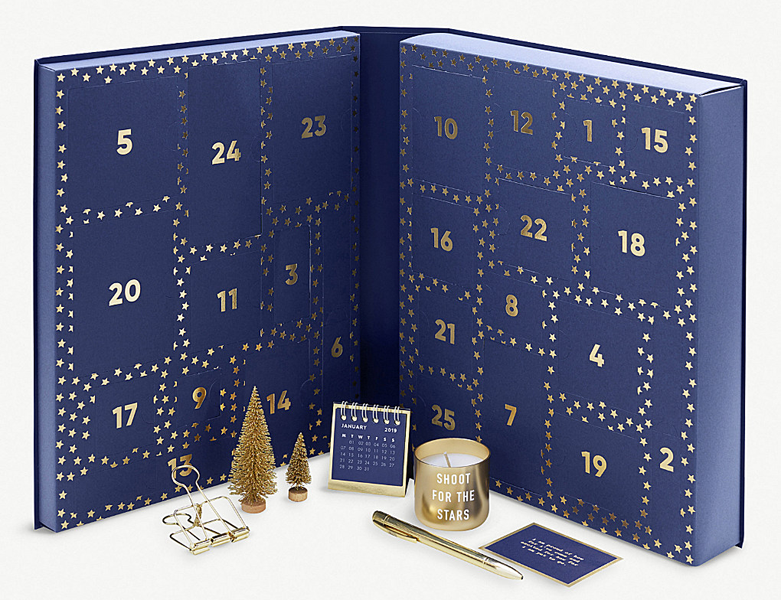 Kikki.K’s addition to the Advent Calendar edit provides notebooks, candles, pens and more. For me personally, no matter how perfectly brass-toned it may be, a paperclip is perhaps not what I’m looking to get come December 15th. But that’s just me. I think this could be the one for me. The product of a collaboration with artist Andrew Bannecker, the calendar features just about every cult product in the brand’s repertoire. If you’re duo I’d say this is one of the most shareable of the bunch. As a general rule Kiehl’s products are wonderfully unisex, although the dedicated men’s collection does make an appearance in there too. Be smart however. There’s 25 days, make sure you look after number 1 and select to open the odd numbers. Very little ever compares to the luxury of shopping with Net-A-Porter. 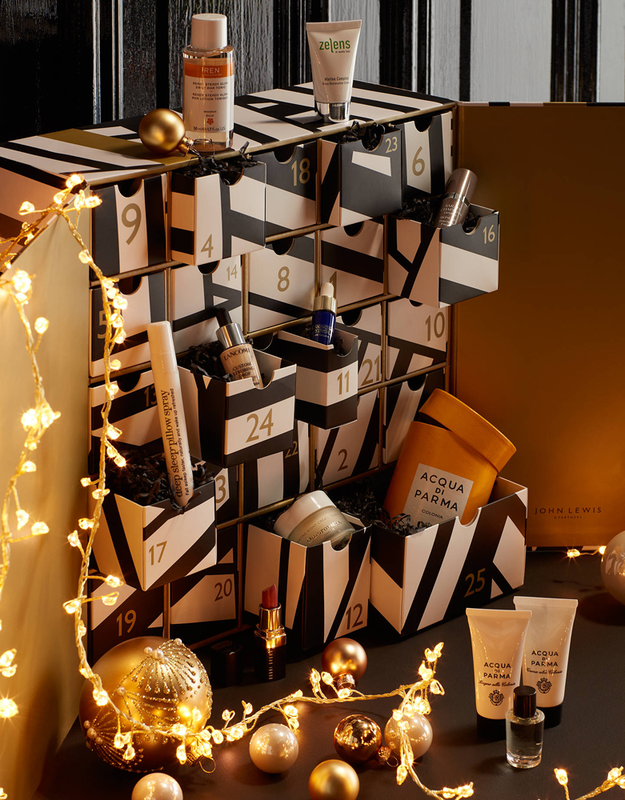 Their arsenal of beauty and skincare brands is unparalleled, so it’s no wonder their addition to this year’s advent calendar offering is suitably spectacular. Behind each door you’ll find a product by one of their bestselling brands. From Scandinavian shampoo to Eyeko eyeliner, you’re bathroom and your make-up will thank you in equal measure. 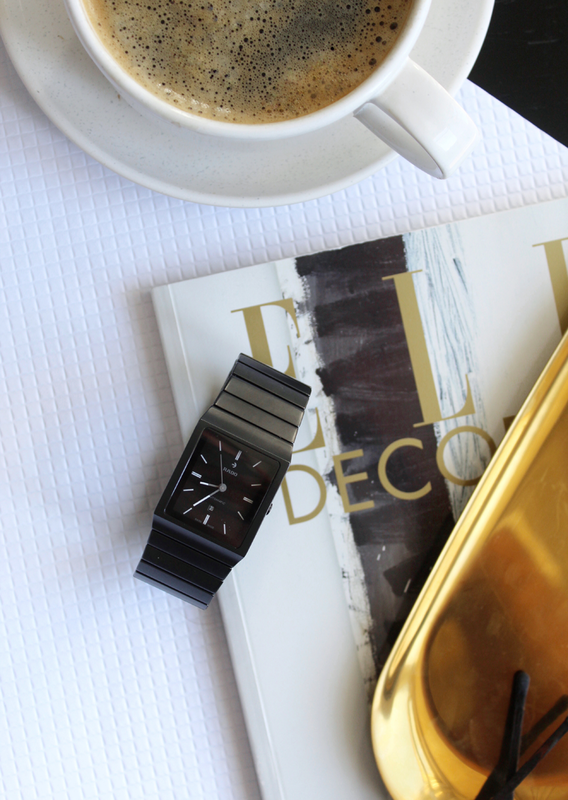 This is a sponsored post produced in collaboration with Rado. A few months when I was first approached by Swiss watchmakers Rado to work with them I was quite intrigued as to exactly why they felt millergrey would be a good fit for their brand. I can’t claim to have known too much about the brand prior to working for them; I knew they produced beautifully minimal timepieces, but other than that I couldn’t have elaborated for you. What swayed me into wholeheartedly agreeing to work with them was their unwavering passion for design, in all its forms. The Rado Star Prize – a worldwide search to find and support the finest up-and-coming design talent – offers students and fledging designers alike the chance to have their work showcased on a Global platform. 2018’s lucky winner actually hails from here in Newcastle and currently studies where I also spent four years training, Northumbria University. Whilst the blog’s main focus is on that of interior design I’m fascinated by the way we apply our tastes to the objects and items that fill our life. Should we approach the selection of a water bottle or watch with any less precision than we would in selecting the sofa for our living room? Ultimately these objects become part of our day-to-day life, so in my eyes each and every piece we pick should be selected with care and individuality. I think this is perhaps where Rado resonated so well with me. 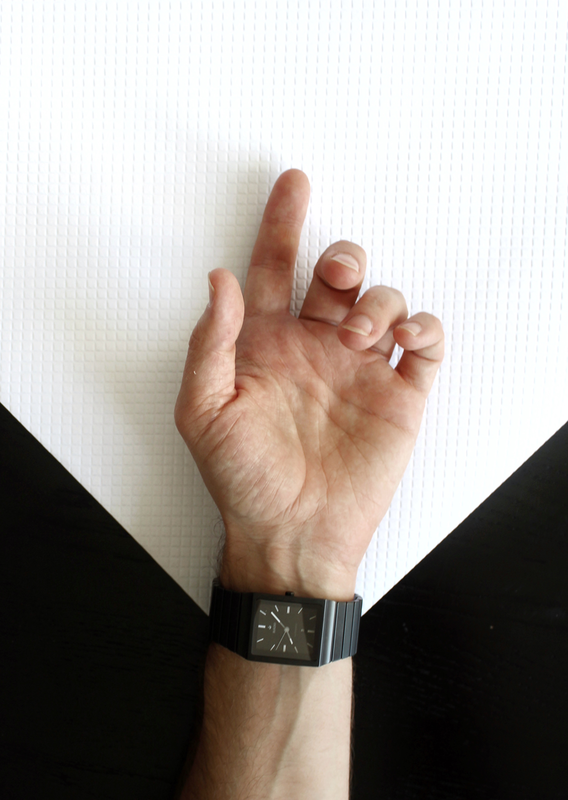 A watch sits on our wrist for the entire day, touching our skin for its duration. It should be a piece we have a connection with, surely? A few years ago, when asked to describe my personal style, I said it was a sort of ‘soft minimalism’. 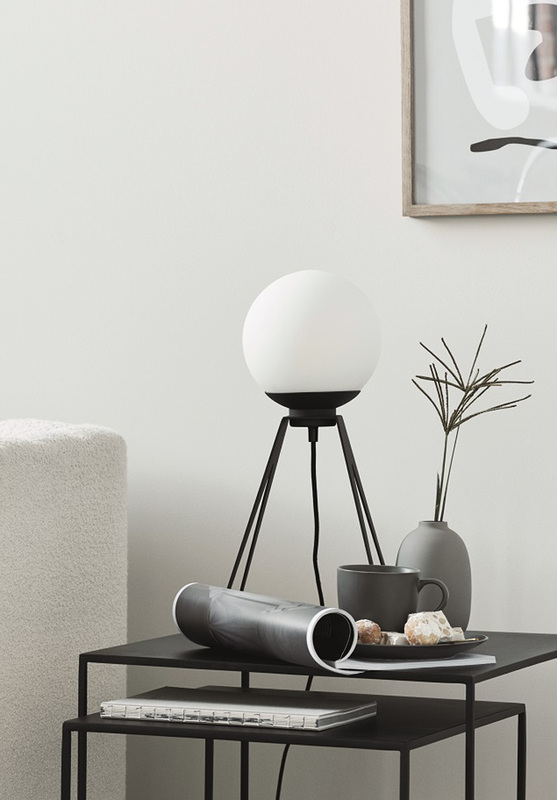 Clean and angular, muted and monochrome… but the edges were rounded. There was a softness to it all. At least that’s what I hoped it was. I genuinely feel like Rado’s timepieces are exactly that. Over the past few months I’ve been able to explore different designs from their range, selecting ones that appealed to me and my aesthetic and incorporating them into my photography. 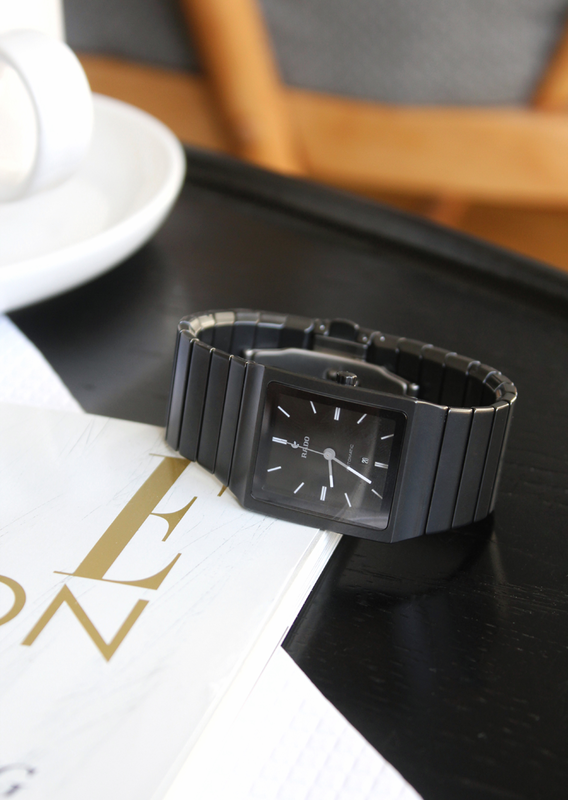 This, the last piece in the collaboration, features the Rado Ceramica. 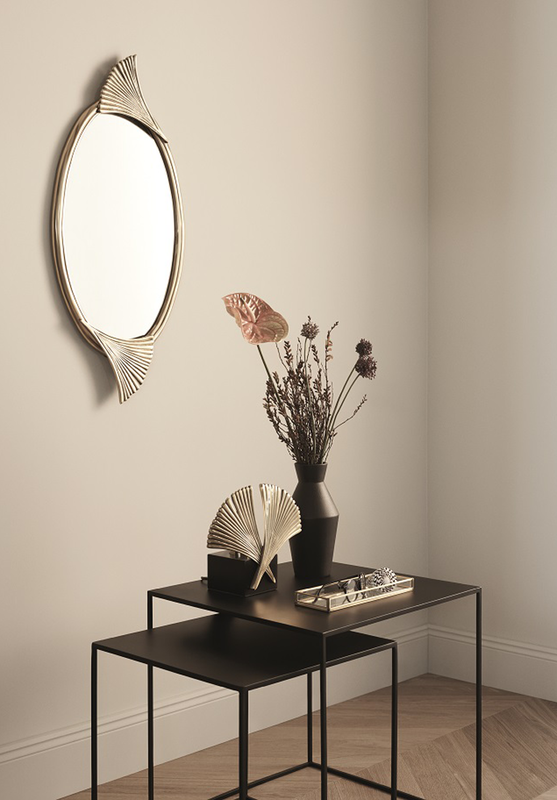 It’s a sharply geometric piece, softened with a matt grey finish. It’s solid and present, but inconspicuous and effortless at the same time. The design team picked the grey-tone for it’s universal appeal, believing a watch doesn’t need to be ‘masculine’ or ‘feminine’ in the traditional sense, but that the strength of its design and timeless nature will appeal to and work for just about anyone who may happen to try it on. That’s a concept I’m all for. If you’re keen on interior design than it’s likely you’ve heard of Bethan Gray. Her incredible pieces of furniture have found themselves on so many of my Pinterest boards over the years, combining beautiful touches of wood with brass studded details. 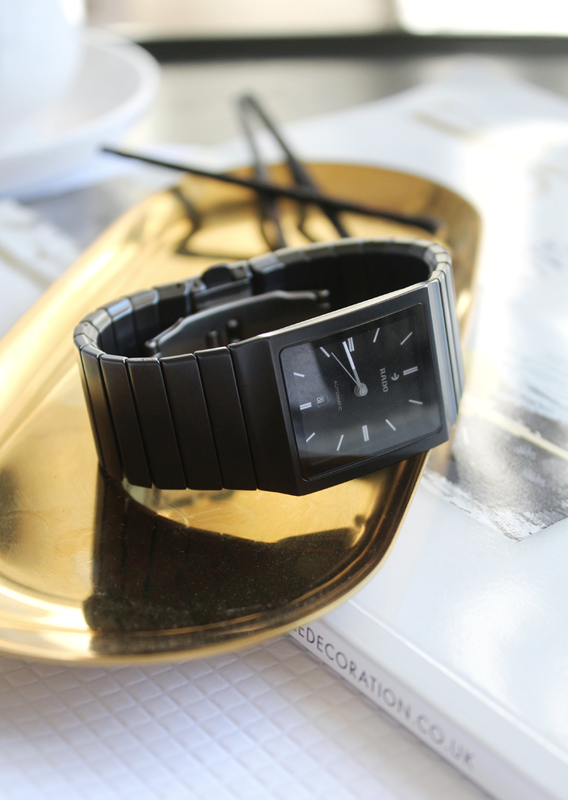 Together Bethan and Rado have produced a limited edition timepiece, the Rado True Thinline Studs. It’s a thing of absolute beauty and limited to only 1,001, so if you’re in the market for a watch as elegant as your interiors, you’d best act fast. 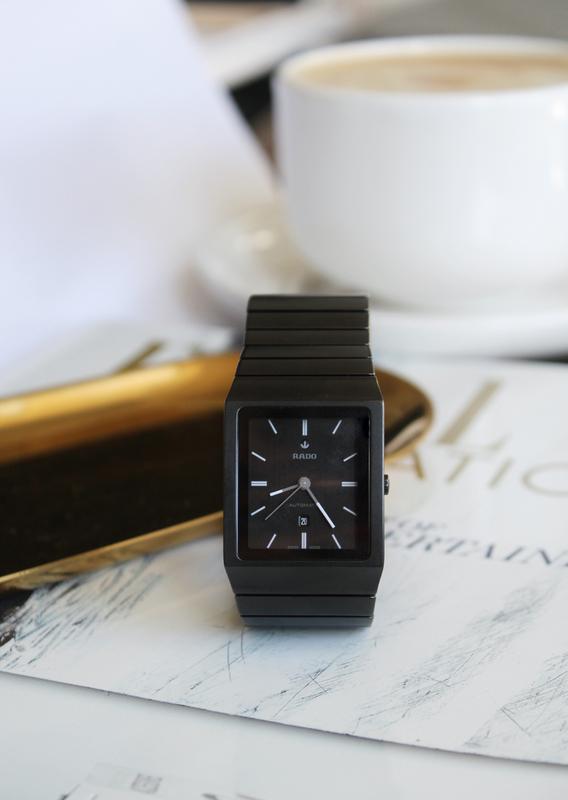 If you’d like to find out more about Rado and their approach to design, you can visit their site here. Growing up we had two trees at the bottom of our garden: an apple tree that brought us small, bitter fruit and a plum tree that delivered nothing short of a tonne of plums every single year. Each year my mum would take the plums, stew them and turn them into a simple crumble. There was a lot of fruit and not so much crumble, not the kind of ratio I enjoy. Stewed fruit isn’t for me at the best of times, let alone when it’s the only desert available for the foreseeable future. Our freezer would be piled high every September. 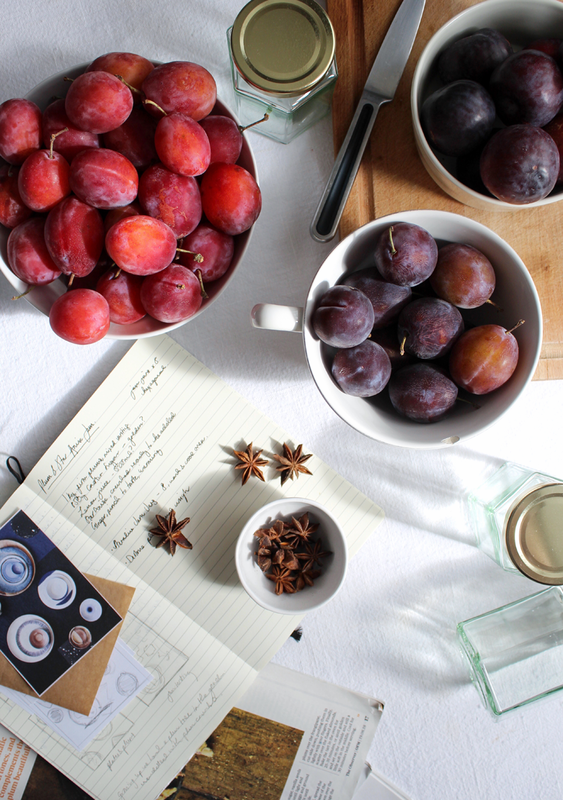 Up until last month I hadn’t touched a plum since, now there’s jars and jars of plum jam stacked on my shelves. Whilst reading the Observer Food Monthly I came across a recipe for a plum and star anise frangipani from Gill Meller’s latest book. It seemed like the perfect thing to use up the plums that arrived with my latest Abel & Cole box; an originally unwelcome result of having not selected plums on my ‘never send’ list. It changed my opinion on the plums, so props to Gill. The combination of the plums with the aniseed-like flavour of the star anise (again not a flavour I would have enjoyed previously) works so well. 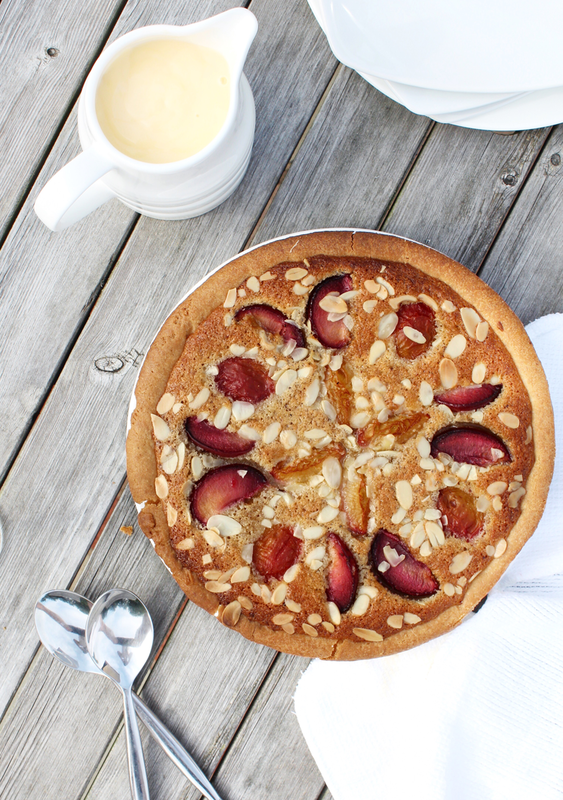 You can find the recipe for the tart here. 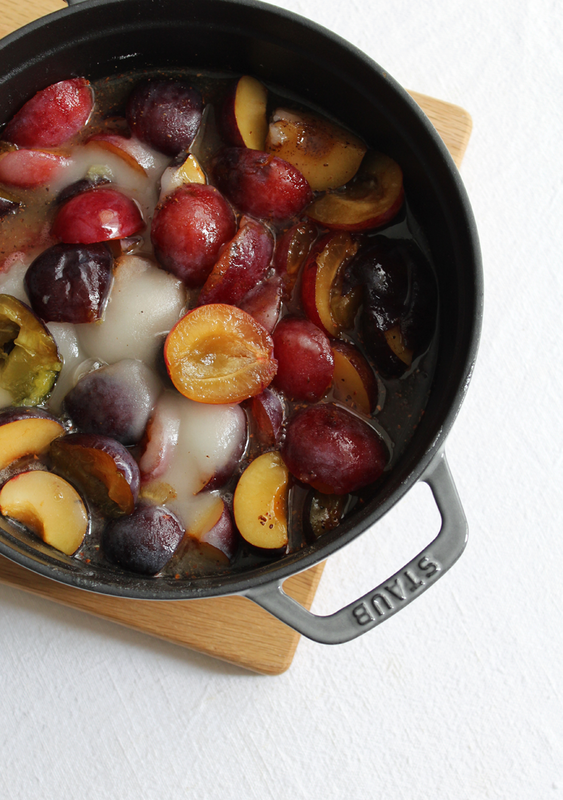 Warm and comforting, the deep purple plums are completely brought alive by the Star Anise.. I decided to combine both flavours into a plum jam, spiking it with a hint of ginger along the way to really deliver the most comforting of winter jams. Spread liberally on crumpets or freshly toasted sourdough, or better yet, swirl through a cosy bowl of porridge on a lazy winter morning. I’ve made this plum jam twice now and both times it yielded four large jars. I always like to ensure I’ve got six sterilised and ready to go however. You never know. The hexagonal jars used here are from Wilko and are always my jam jar of choice! A note on sterilising jars. Nigella says she considered jars fresh from the dishwasher as sterilised and ready to use, so I’m inclined to agree. She knows her stuff. If you don’t have a dishwasher however, wash the jars and lids in hot soapy water and leave to dry fully. Pop your oven on to a medium heat (150 C or so) and place the dried jars onto a baking tray and pop in the oven for ten minutes or so. For the final few minutes add in a second baking tray with the lids spread out on also. Turn off the oven and open the door slightly. This will keep the jars warm until you’re ready to fill them with your jam. Pop a side plate into the fridge to chill. 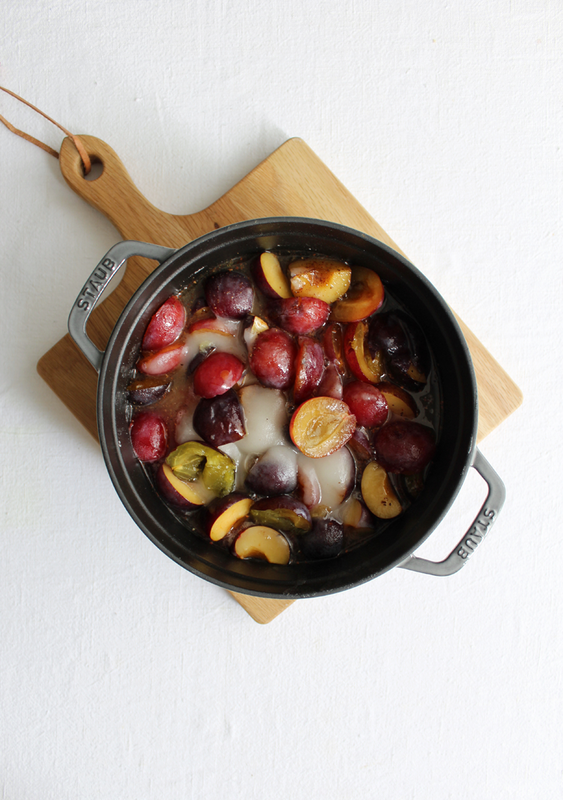 To a large heavy bottomed pan add the plums, sugar, ground ginger, lemon juice and 100ml of water. Place the star anise (use just 2 if you’d like the flavour to be a little more subtle) into a pestle and motor and grind to a powder. You can also pop them into a sandwich bag and thoroughly bash with a rolling pin. Before adding the ground star anise to the pan with the other ingredients tip them into a sieve to remove any of the larger chunks. You can grind these down again and repeat. Bring everything to a boil before turning the heat down to maintain a slow simmer. Stir regularly until the sugar is fully dissolved and then intermittently for 40-50 minutes to ensure it doesn’t stick to the bottom of your pan. The fruit should break down but not become entirely liquid, as well reducing quite significantly in volume to be thick and treacle-like. At the 40 minute mark take your plate from the fridge and grab a teaspoon of the jam and pour the plum jam onto the plate. Leave to set for a minute or so. Push your finger through the jam, if it wrinkles and moves away from your finger, it’s ready. If sliding your finger through the jam doesn’t meet any resistance and it remains still very much a liquid, keep it on the heat for a little while longer, clean the plate and return to the fridge, trying the process again in a few minutes. When you’re happy tip the jam into a jug, remove the jars from the oven and distribute the mixture evenly between the jars, filling them up to just below the neck. Don’t fill them right up the top, there needs to be a gap. Pop the lids on immediately and tightly close. The jam should keep for quite some time, so if you’re making it now, feel free to stash it away for impromptu Christmas gifts! The Scented Candle Edit. My Four All Time Favourites. When I last did an ‘Ask Me Anything’ Story on Instagram the most commonly asked questions were all about scented candles; ‘What’s my favourite scent?’, ‘Which brand is the best?’ and ‘Is it worth paying a little bit extra?’. 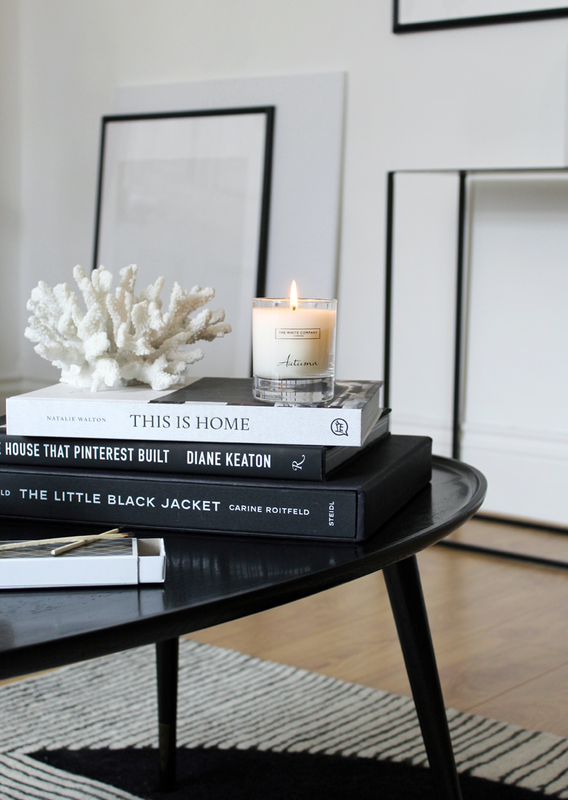 I’ve talked about how important I think smell is in our homes on the blog before but it seemed like the perfect opportunity to put it all in one place. On an evening, whether we’re in the middle of summer or the deepest, darkest depths of winter, there is always at least one candle burning in my flat. There are baskets and boxes filled with different options and I’m lucky enough to be sent some beautiful candles as gifts, which is mostly how I end up discovering new brands and exploring new scents. I’m a big believer in buying in quality pretty much across the board. It isn’t always the case that you get what you pay for, but with candles I genuinely think it’s worth it. They contain a higher level of perfume and oils and generally only improve upon being lit. My problem with a lot of the cheaper candles from say H&M for example is that they may well smell amazing in the vessel, but light them and that’s it. They don’t scent the room, they don’t linger in the air. It’s a cheaper, synthetic scent that has been added. Generally I lean towards a fruity scent, which is probably why I love this one so much. It’s sharp and crisp – pears, quince, musk and amber – and as the name probably suggests, perfect for the autumn. 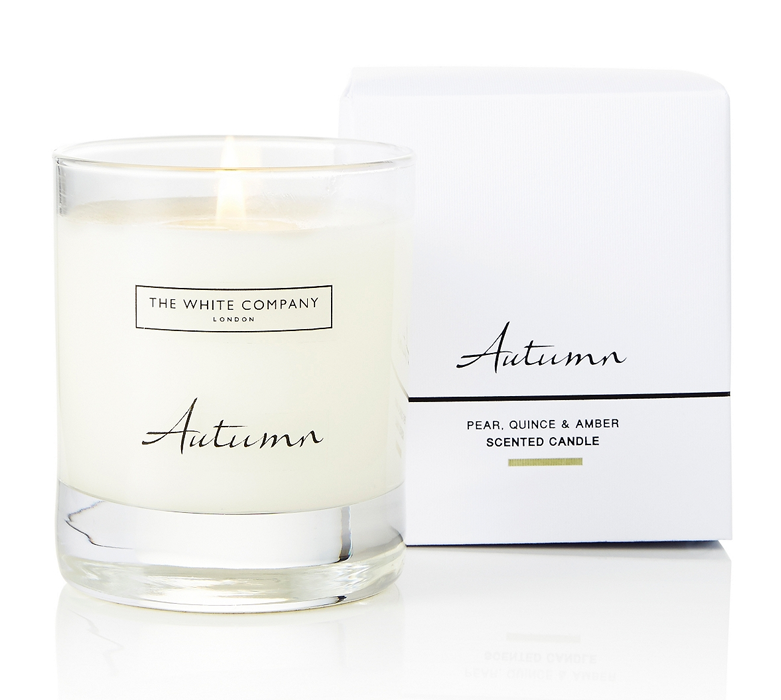 The White Company generally release the candle in August, before it removing it around November time, so stock up! Potentially my favourite candle, ever. It was created to evoke the feeling of a fire that’s about to go, with notes of nappa leather, black pepper and smoky incense. I think people often think this one if going to be really heady, almost church-like. It’s absolutely not. It’s the best candle for the winter night’s, especially if like me you aren’t lucky enough to have a open fire or log burner. It’s comforting and cosy. There is always a Baies candle in my home. It’s actually very similar in its scent to my favourite cologne, Jo Malone’s Blackberry & Bay. It’s floral without being overpowering or obnoxiously so, thanks to the sharp cut of the blackcurrant. Brand wise, for me Diptyque come out on top for the level of scent they deliver. 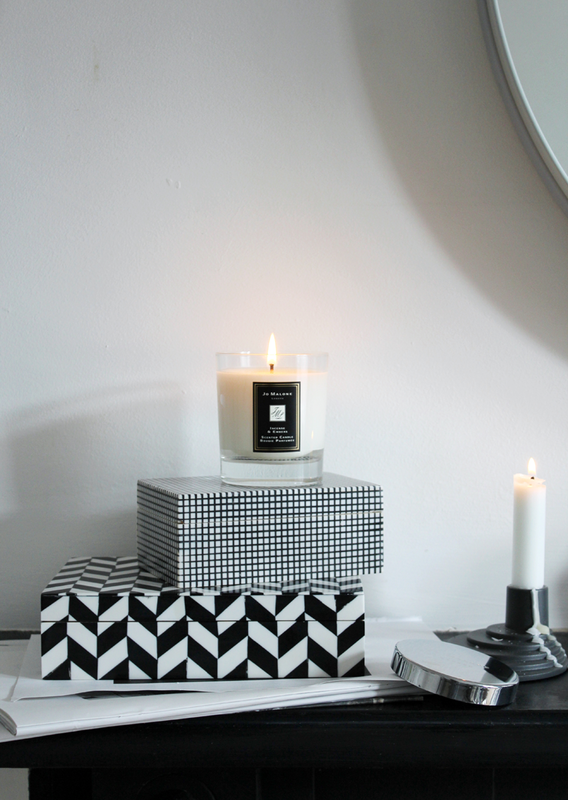 You don’t even need to light a Diptyque for it to have scented your room. In that sense they’re almost a diffuser, only intensifying when you do light them. Occasionally they can burn a little oddly, that’s one my gripe here. If it happens and you notice a wax build up unevenly to one side, light the candle and wrap it in tin foil, leaving enough foil to create a sort of cone above the vessel. It should help to distribute the heat better and melt the remaining wax. At this point you can also look to pull the wick back into the centre if it’s noticeably gone to one side. 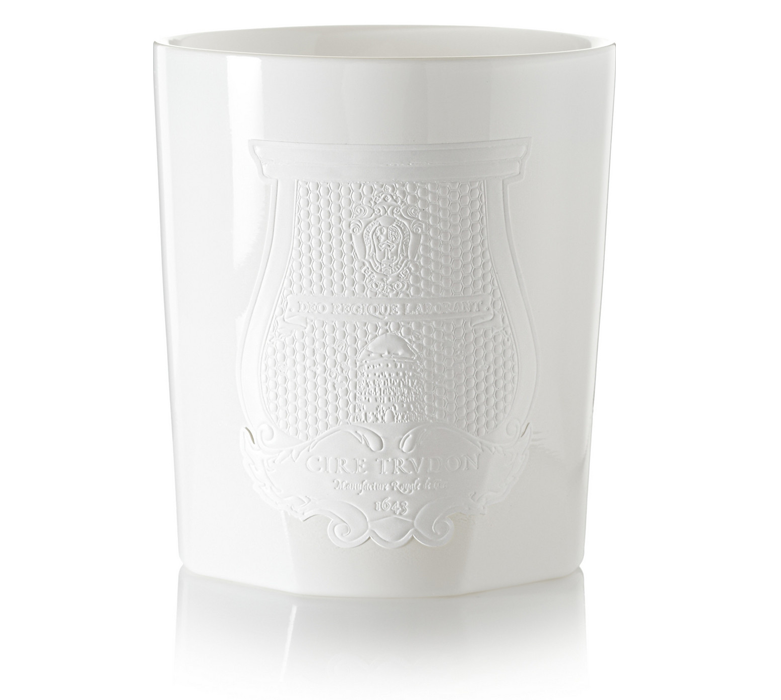 So, yes, it was the all-white design that first lead me to this candle, I won’t lie. It’s the product of a collaboration with Giambattista Valli and is absolutely the perfect candle for the summer. I don’t have a garden so when it’s a warm, balmy evening in July, this is what I light. Orange blossom, jasmine and magnolia. If you close your eyes and just sit there, wine in hand, you could mostly definitely be in Positano. Fun fact for you, Cire Trudon have been making candles since 1643 and were responsible for creating the scented candle as we know it today. They supplied the court of Versailles, including Marie Antoinette herself. They actually produce a candle shaped to resemble her head should you find yourself in the market for a light-able bust of a highly unpopular monarch. 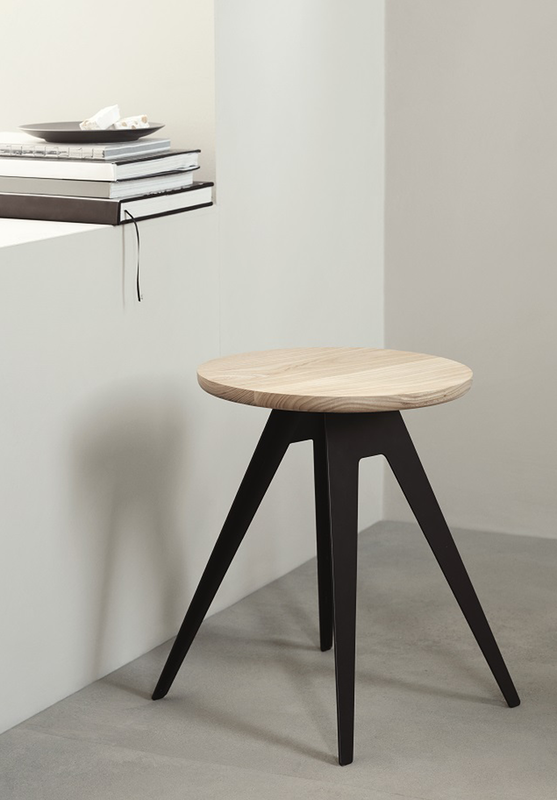 For a while now I’ve been exploring how possible it is to purchase products for the home that have a reduced effect on our environment and actively promote change. I believe we all have a responsibility to ensure we have as little impact on the planet as possible, along with an even more important responsibility to ensure we buy with our brains and support sustainable manufacturing. At the same time I believe you shouldn’t need to sacrifice any element of style in order to do so. Over the past few years our attitude towards conscientious homewares has definitely changed, there seems to be a much greater appetite for it now, something I’m incredibly happy about. For the most part the highstreet doesn’t seem to want to get behind the idea, either ignoring the issues entirely or hiding behind tiny capsule collections that come branded as being conscientious whilst really only making up 1% of their offering. Finding the pieces and brands that do offer something more evolved isn’t easy, which is something I would like to try and assist with on millergrey. Perhaps it isn’t an issue that everyone concerns themselves with, but whilst I have a space like this blog I’d like to know it was helping in promoting those brands who are making a difference. A few weeks ago I was lucky enough to work with Artha Collections through Positive Luxury, an incredible collective of progressive brands who challenge the mass produced nature of the fashion, homeware and beauty industries and champion a selection of brands to trust. Artha work with highly skilled artisans around the world to produce handmade homewares, offering women a chance to select their own working hours in order to ensure they can provide an income for their families without adversely affecting their home life. 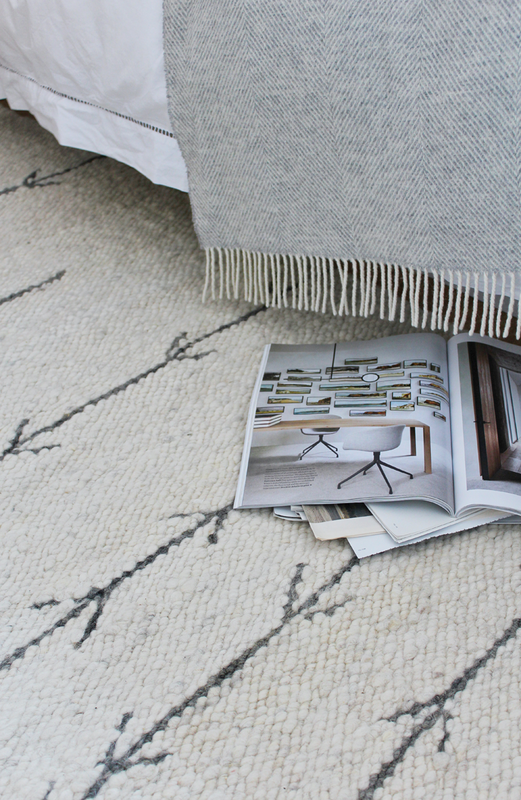 The rug that now offers my feet a cosy place to land every morning was created by a single weaver, with its design adapted from traditional rugs in Ndbele tribal villages. When it arrived it seemed a shame to be relegating it to the floor, despite looking perfectly at home. 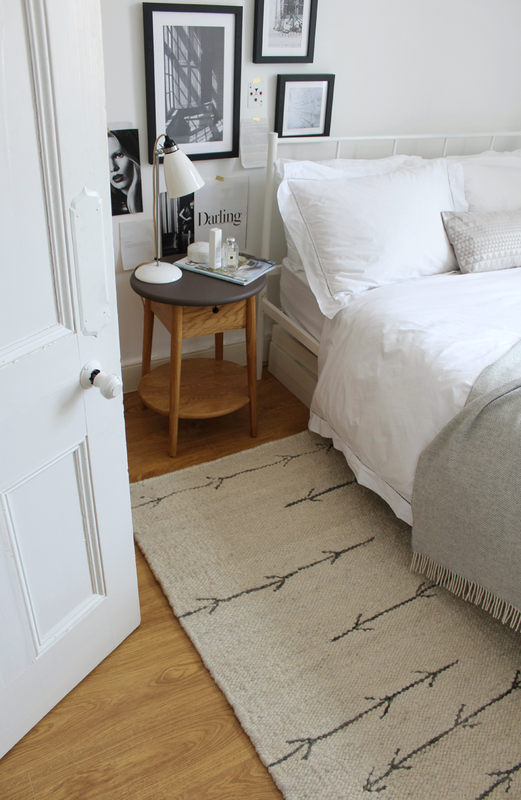 I’ve been toying with the idea of redoing my bedroom for some time and think the arrival of the Arrow Rug may just have confirmed that plan. As soon as I had unpacked it and rolled it out on the floor I knew it had to make it to a wall. Exactly how I turn it into a wall hanging is something I’ve been investigating via the medium of Pinterest ever since. 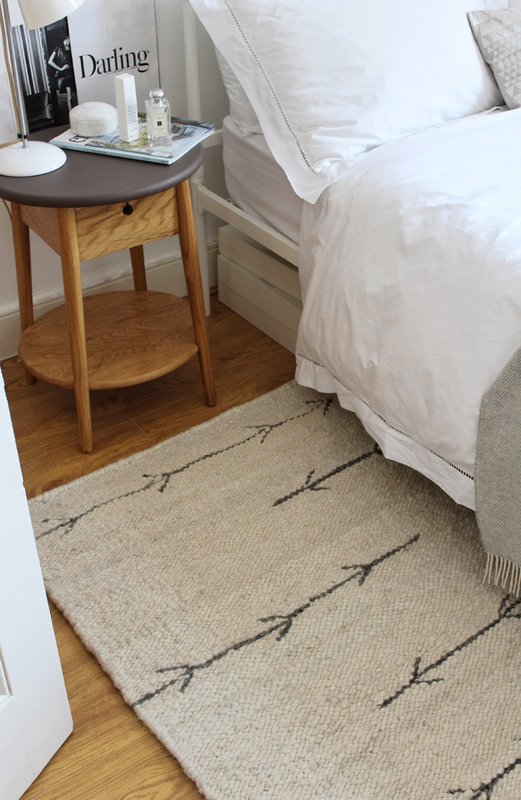 The plans for my bedroom makeover are something for another post (I might even moodboard, who knows), but for now the rug is making each day that little bit comfier in the room as it currently is. If you’d like to find out a little bit more about Artha Collections and Positive Luxury you can visit their site. 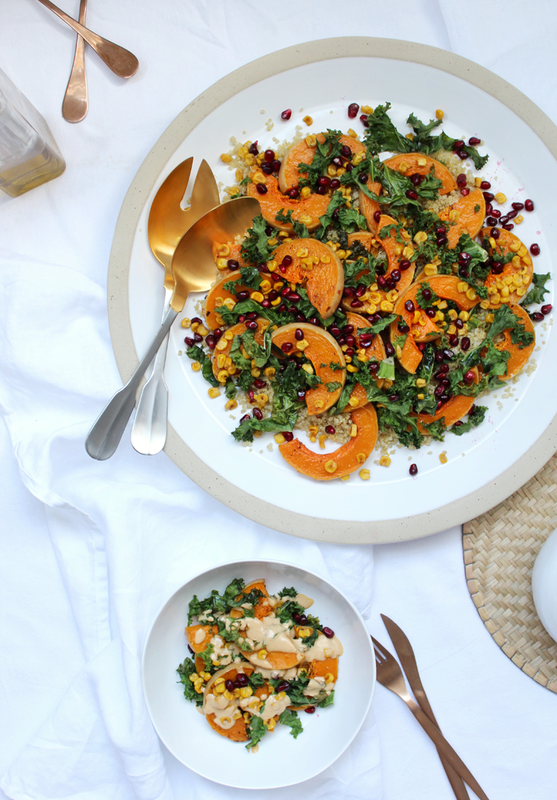 A Recipe For Roasted Butternut Squash Salad, With Jewelled Quinoa & Tahini Dressing. One of my many mottos in life is to never arrive empty handed. Whether it be flowers, wine or some kind of baked treat, I like to arrive places having made an effort. A psychologist would probably say it had something to do with a desire to be liked, but I can tell you quite definitely that isn’t high on my list of essentials. I just really like to cook. This weekend over on Instagram I posted an image of my addition to a ‘low-key’ BBQ. The first thing you should know about me is that ‘low-key’ doesn’t really wash with me. The story resulted in so many messages asking for the recipe I decided to apply some quantities to it and write it up here. The recipe is a great vegan or vegetarian option for a BBQ and can be made ahead, making things much easier. Enjoy. Soak your quinoa (in a jug to make it easy to pour into a sieve later) in cold water overnight. Before using it, pour out the water and rinse it thoroughly under the cold tap. In a small pan mix freshly boiled water with a vegetable stock cube/pot, add the quinoa with a pinch of salt and bring to the boil. Reduce to a simmer and cook for around 10-12 minutes. Soaking the quinoa reduces the cooking time needed so keep checking on it, it should be unravelling into spirals but still have some bite when you taste it, it shouldn’t be mushy. When it’s done, tip out of the water and then leave in the pan, with a clean tea towel or kitchen paper draped over the top before placing the lid on. Pop to one side to cool. Preheat the oven to 200 degrees (175 fan). Slice your butternut squash into 1cm rounds, removing the seeds as you get to the bulbous part. Slice each in half to make half moons, leaving the skin on. When the rounds are thin this easily cooks and adds some texture. In a bowl toss them with olive oil and seasoning before spreading out on a baking tray. Spread them out as much as possible to allow them to roast. Pop in the Center of the oven and roast for twenty minutes. In the bowl you used to toss the squash add the kale and do exactly the same, lightly coating the kale in any remaining olive oil and seasoning, strewn about the roasting tray with the squash and return to the oven for five minutes. Watch carefully as the kale can so easily burn, you want it crispy, almost like a crisp or seaweed. When it’s ready remove and leave to cool. Tip the drained tin of sweetcorn into a preheated griddle pan. You shouldn’t need any oil. You want the corn to begin to blacken and Char at the edges, so keep shuffling around in the pan before leaving to one side when done. Add the tahini, crushed garlic, seasoning, oil, juice of a lemon and water to a bowl and mix together. Add more water and mix thoroughly until your dressing is pourable. If it looks like it’s curdled just add more water and keep mixing. 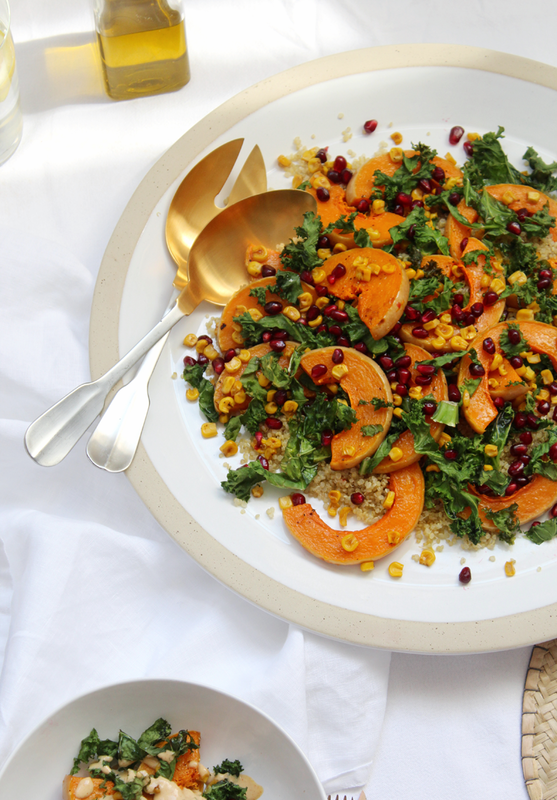 To serve fork through the quinoa and pile onto your serving plate, strew with squash, kale, and charred sweetcorn before drizzling the dressing over liberally. Finally add the pomegranate seeds and dig in. The Secret To A Getting A Good Night’s Sleep This Summer. This is a sponsored post produced in collaboration with Bedroommood. Ah, sleep. That ever elusive must-have we can never quite seem to get enough of. I’m forever envious of those who can fall asleep in any situation, position or condition. Children included. I am the polar opposite of those people. Rarely do I manage to obtain six hours sleep a night, let alone the eight hours we’ve all been drilled into believing is essential in order for our bodies and minds to function correctly. If you follow me on Instagram you’ve probably noticed a lot of sleep related talk of late, and it turns out you wouldn’t be the only one to have noticed it. For full disclosure, prior to receiving an e-mail entitled ‘Dan, we’d love to sleep with you’, I had never heard of Bedroommood. I’m all for a clever piece of marketing. Bedroommood invited me to rest my head on their sheets and spend a night with them, firmly believing their inclusion in my bedtime routine would result in me receiving a good night’s sleep. In the summer months the precious six hours sleep I do get become broken, restless and ultimately pretty unsatisfying. 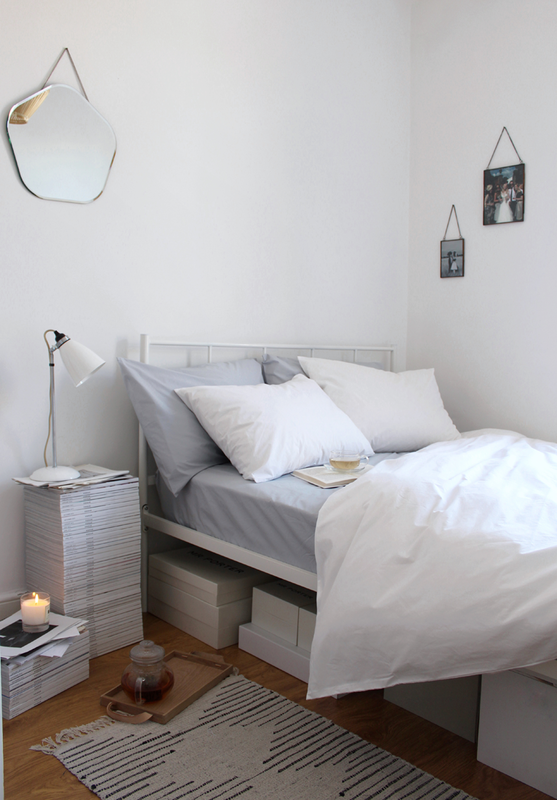 After displaying some rather irritable behaviour and becoming sick of finding ways to stifle a yawn at my desk, I took Bedroommood up on their offer and set about exploring exactly what we can do to get a good night’s sleep in the ever changeable British summertime. Bedding seems as good of a place to start as any. In the simplest of terms, you should keep it cotton. Cotton allows the skin breathe and remains cool to the touch, where as manmade fibres such as polyester prevent your body from breathing, working to trap in the warm air, resulting in all of that unpleasant tossing and turning. I can’t profess to be a bedding expert and prior to exploring Bedroommood‘s range I wasn’t overly familiar with the thread count of my existing sheets. What I can tell you is the 100% Egyptian Cotton Percale Sheets I opted for have a thread count of 300. What I have come to learn from this is that 100% Egyptian Cotton Percale with a 300 thread count roughly equates to a kind of heaven on earth scenario. 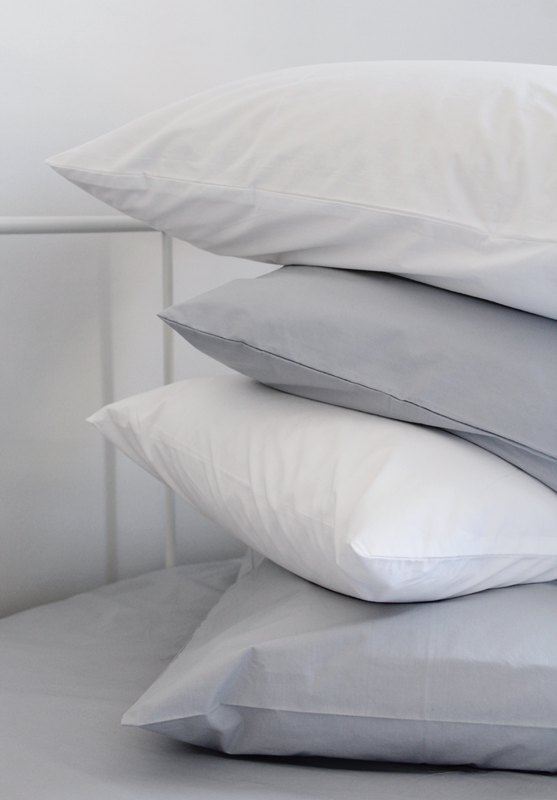 There’s a gentle crease and soft, dry handle to the sheets that perhaps the photos will simply never do justice to, but when you’re cocooned inside them and about to drift off, that’s exactly what you need. It can be hard sometimes to understand if a blogger is genuinely enthusiastic about a product or simply following guidelines provided by a brand, however I can say with all honesty, these sheets are a thing of beauty. Most importantly they have actually helped, since changing over my sheets I’ve had some of the best night’s sleep I’ve had in months. Keen to start to understand why it might be, I checked the care label of the bedding I most frequently use. 40% polyester. Often its included in a fabric’s yarn to reduce the level of ironing needed, so watch out for ‘easy care’ options as generally this would donate the inclusion of a manmade fibre. 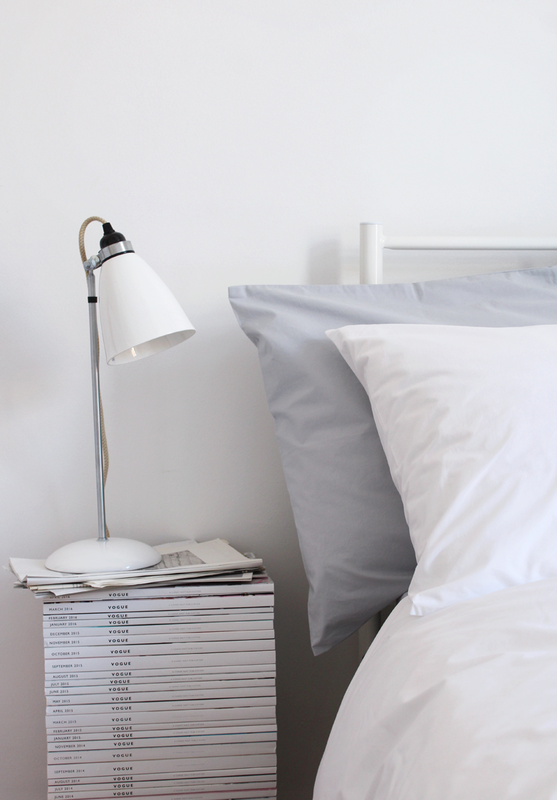 Instead just roll with the artfully creased look of percale! Once the stage has been set in metres of luxurious cotton it’s time to prepare yourself for the main event. Switch Off. 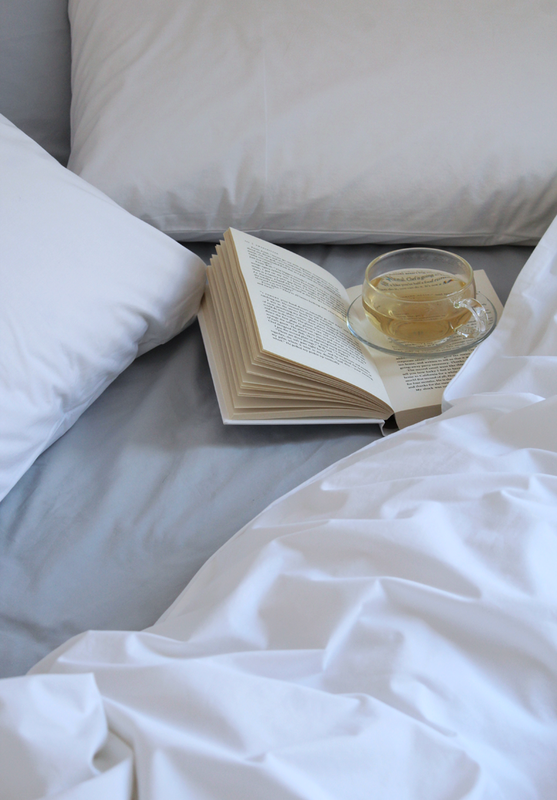 It’s hard to do I know, but spending the hour before you plan on going to bed reading a book, flicking through a magazine or simply getting on with some mindless chores around the house is an hour well spent. Scrolling through our phones or catching up on Love Island causes our brains to stay alert with the colour and lights its being presented with. (Yes, even Love Island causes some stimulation to the brain.). 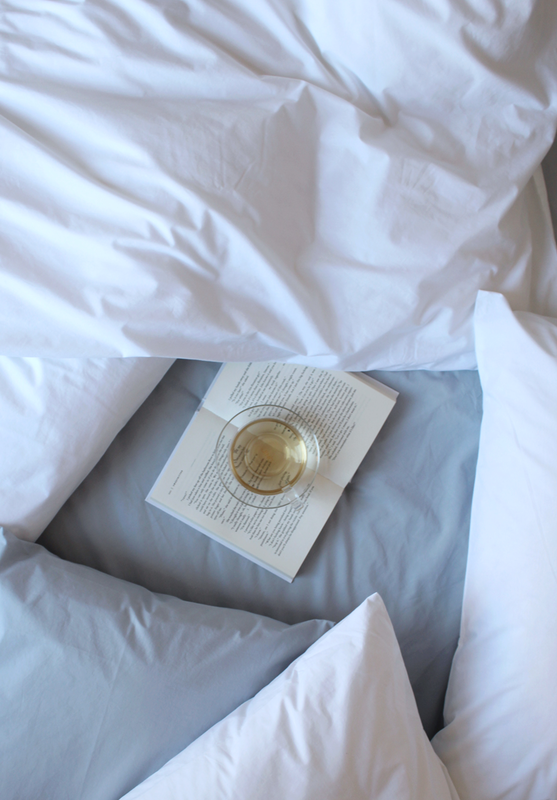 Switch off, climb into your luxuriously plumped bed, reach for a book from the stockpile you now keep by the bedside table, light a candle and relax. I remember once watching an episode of The Oprah Winfrey Show where she proclaimed never to drink a cup of tea or coffee after 3pm and even that was rare, it should always be something you drink in the morning to allow it to leave your system before your head hits the pillow. Now I’m not the kind of guy to disagree with Oprah, so I follow that rule rigidly. Instead go for a chamomile or one of the plethora of sleep-inducing wonder teas you’ll now find in your local supermarket, and swap out your afternoon pick me up coffee for something punchy like a ginger and lemon infusion. This is probably going to be the most controversial point here, but when your alarm goes off? Get out of bed. Don’t lie there and snooze until you’re late and having to brush your hair on the bus. Ultimately this dedication to getting up will pay off in undisturbed sleep. Our bodies understand routine, it’s a simple fact. The more you wake up and get out of bed at the same time, the more your body will allow you to sleep peacefully until it knows its time to get up. Think of it sort of like the night before a holiday and you wake up constantly to check the time and make sure you haven’t over slept. Training your body to the time it needs to get up over time alleviates that issue, it knows what’s coming. After a few weeks you’ll find you naturally wake up before your alarm goes off, with the sleep before hand having been unbroken. 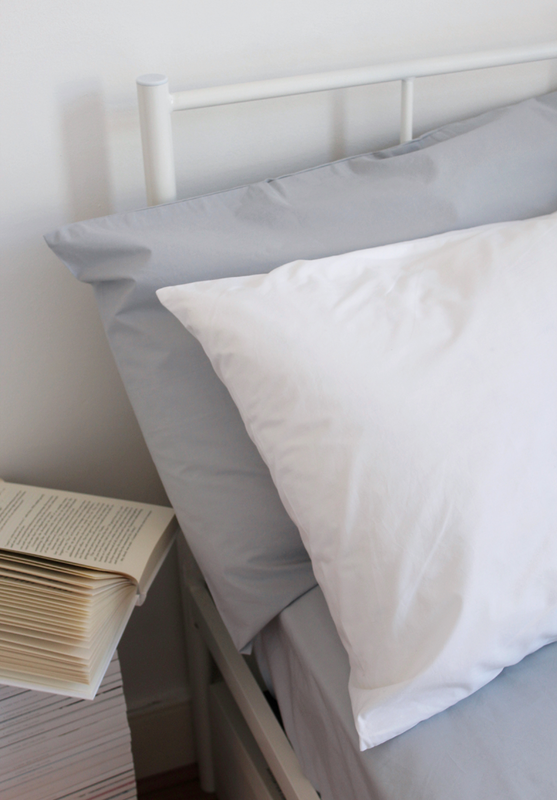 Until July 31st Bedroommood are offering millergrey readers 20% off orders with the code DAN20 which is pretty lovely if you ask me. If you do decide to give them a try I’d love to hear how you got on – leave me a comment or head over to @_millergrey on Instagram and let me know how you slept. I’m all ears. Unless it’s after 10pm, then I’m sound asleep, with my phone face down on the bedside table. 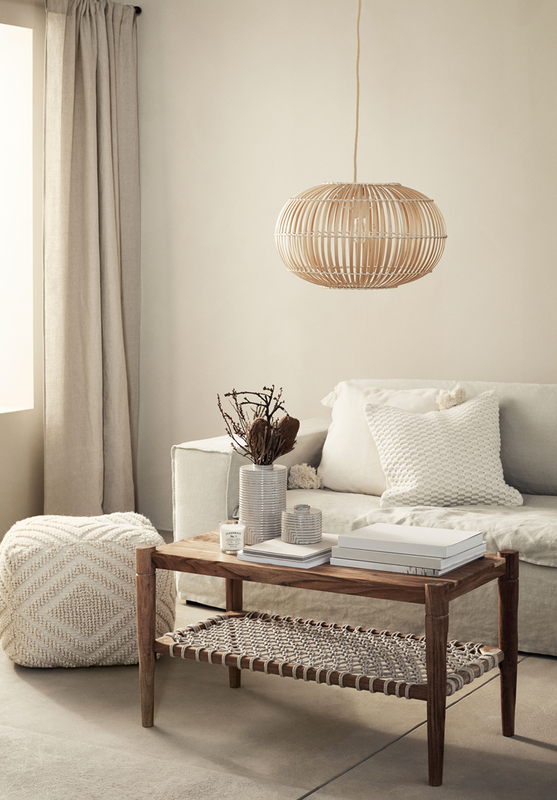 H&M Home Launch Their First Furniture & Lighting Collection. 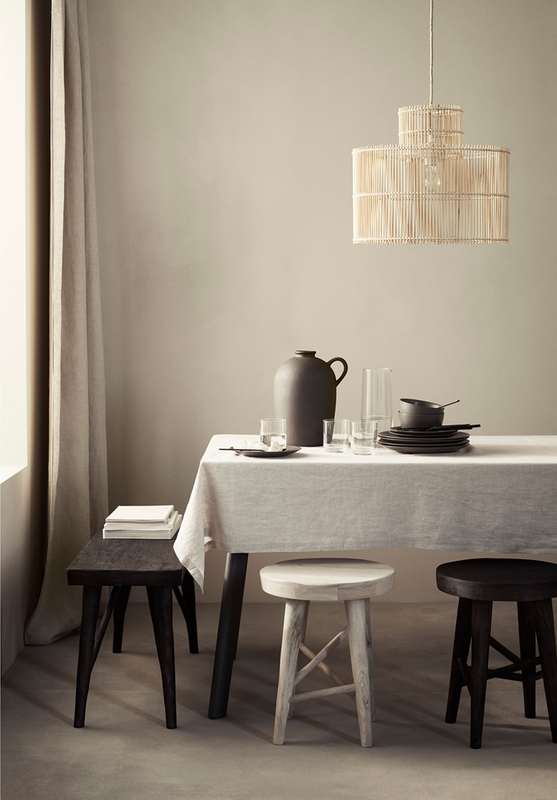 H&M’s arrival into the world of homeware has been a relatively quiet one. 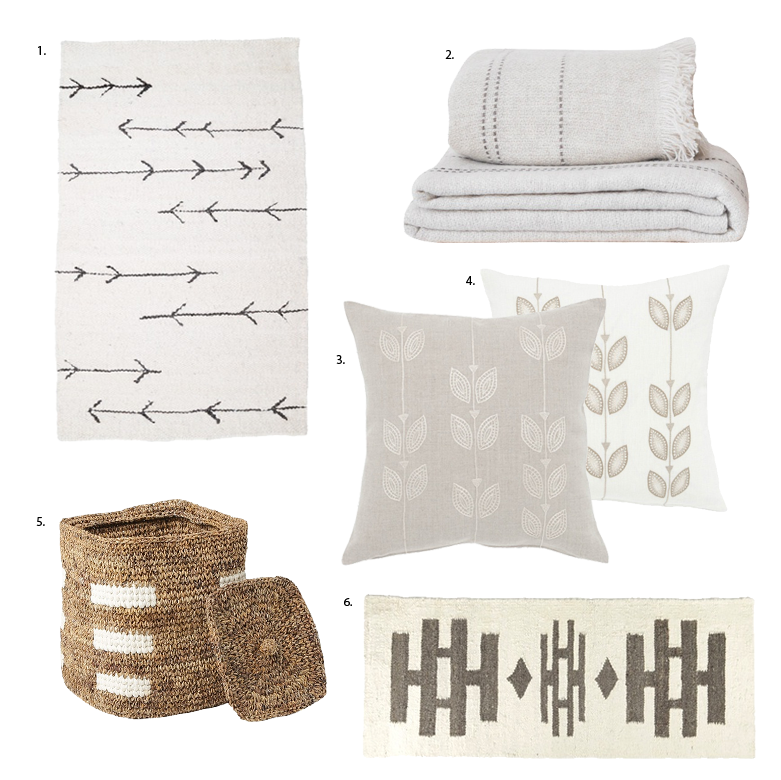 When H&M Home initially launched back in 2010 it admittedly wasn’t quite what I was hoping for; a little too frou-frou for my tastes after hoping for a touch of Scandinavian minimalism. Arguably that was my mistake, it isn’t as if the brand’s clothing lines embody the spirit of Scandinavian design – they save that for sister brands COS and Arket. 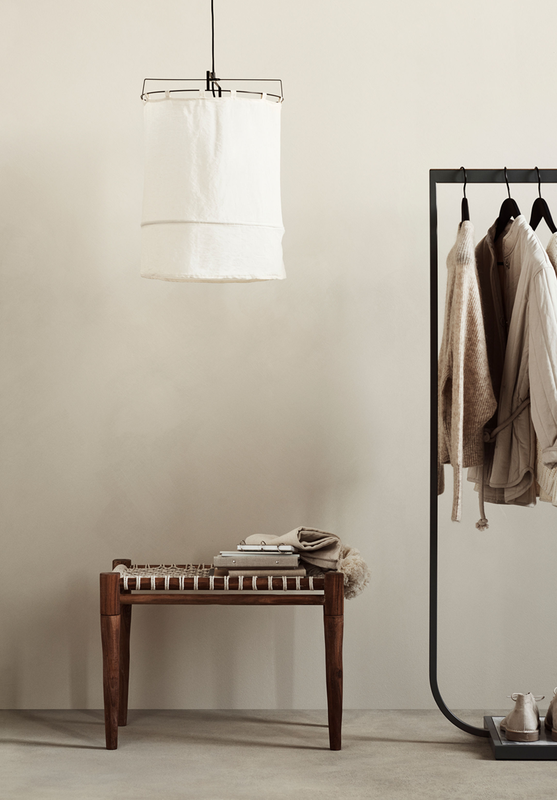 Over the past eight years however H&M Home has done exactly what their clothing lines; adapted, evolved and shifted with the times. 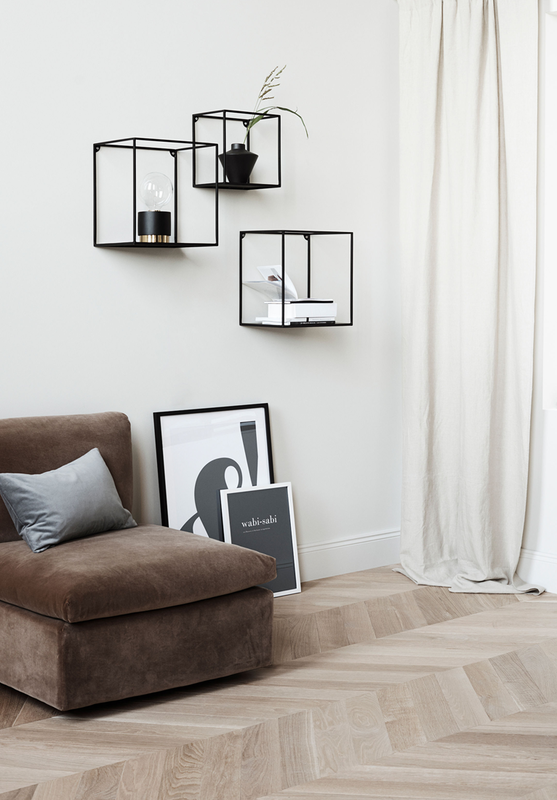 In the same time our interest in homeware and the way we live within our own spaces has shifted dramatically, led largely by platforms like Instagram and Pinterest allowing the consumer to see inside the average person’s home, stealing elements of their style along the way and applying it to their own homes. Now it’s somewhere I find myself checking regularly for new arrivals and ultimately purchasing from too. 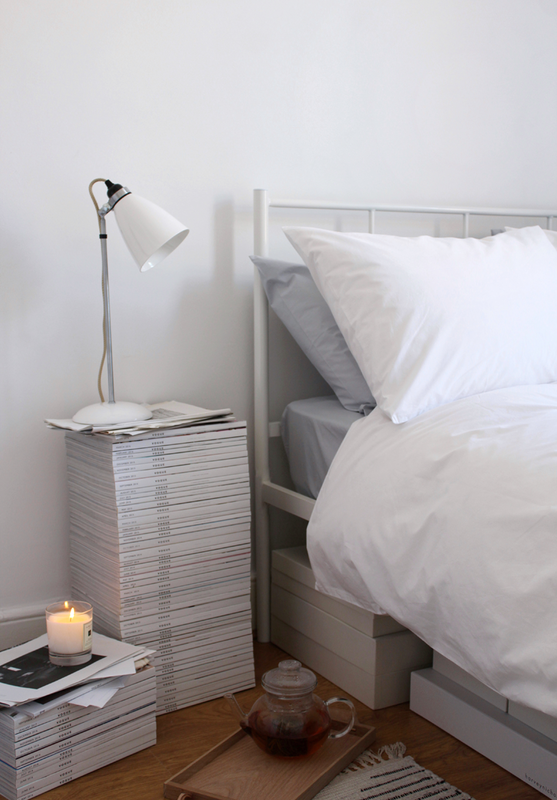 Top tip, look out for their 100% linen bedding and table cloths come sale time. Bargain. 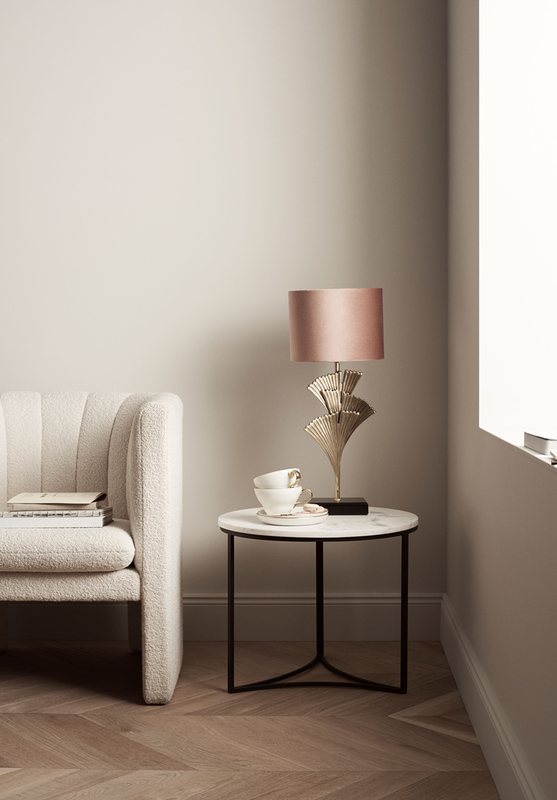 With that in mind, H&M Home have ventured into the world of furniture and lighting for the first time with their Autumn 18 collection, firmly taking aim at the some of the moment’s key trends. Much like their approach to their clothing collections, H&M have taken influence from designs most of us have been pinning for months, bringing them in at a far more achievable price point. 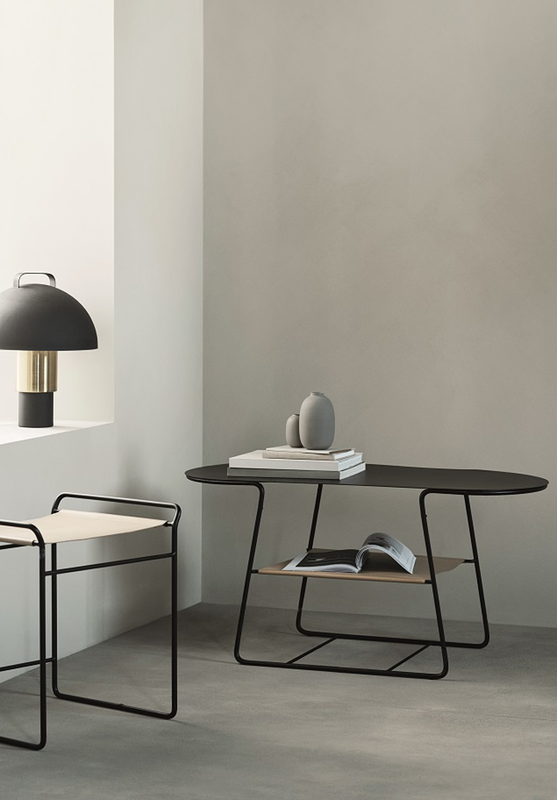 Put simply, I spy minimalism, rustic lighting, marble surfaces and powder coated metal. 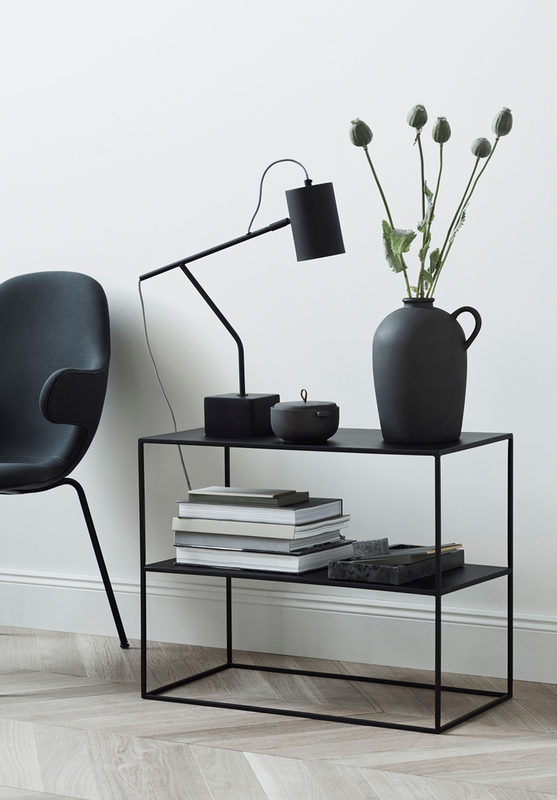 The minimalist black metal side table is something I’ve been after for years, so much so there’s an entire folder for them in my Instagram ‘saved’ images. The textured footstool (the word ‘pouffe’ makes me feel queasy) is sadly yet to surface online but I’ve got my beady eyes on it. I sit writing this on my sofa, my legs awkwardly crossed to balance the Mac. I very clearly need a footstool. You can shop some of the pieces on the UK site now, with the rest of the collection set to launch over the coming weeks. The Picnic Edit. 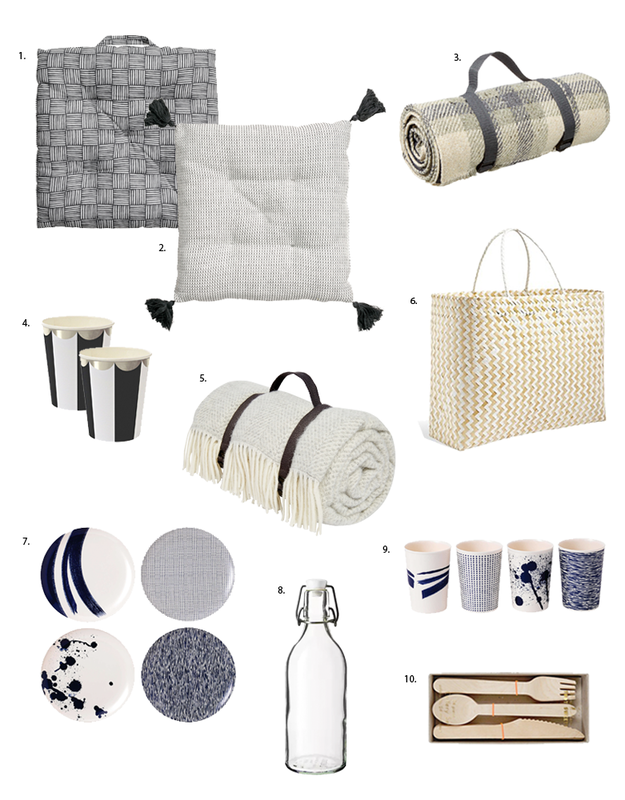 Tackle National Picnic Week In Style. This week, if you didn’t happen to be aware, is National Picnic Week. 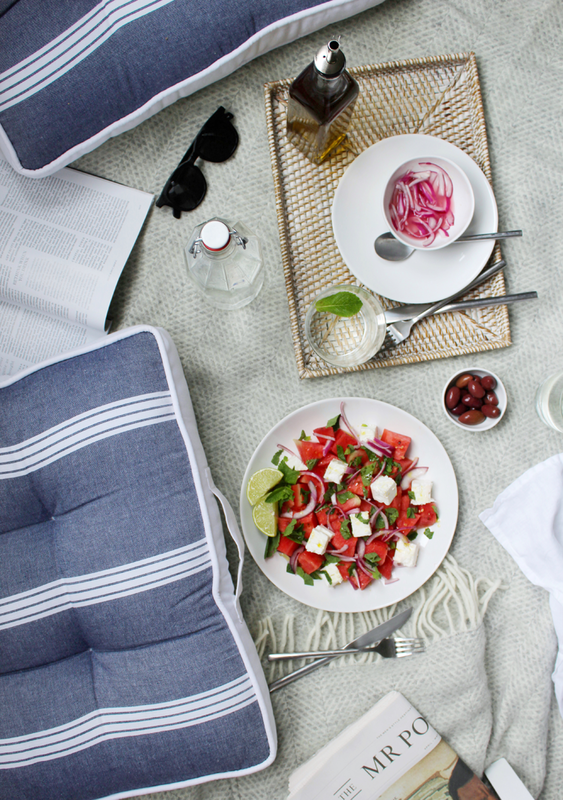 Yup, there is indeed a week dedicated to the art of picnicking. 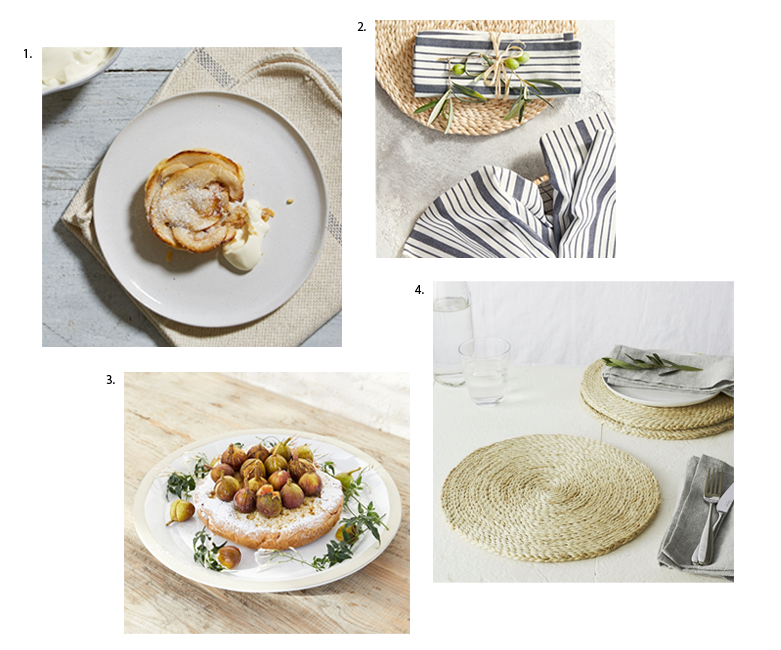 Rather perfectly it falls in the same week as the longest day and the official start of British Summer Time, so there seemed like no better time to compile a list of picnic tips and picnicware essentials. I’m a firm believer in the idea that nothing we purchase should be truly disposable. I try to apply that logic to all situations, even picnics. If you can’t invest in something reusable then you’ll find some amazing biodegradable or recyclable options out there. After all, the very idea of a picnic is to enjoy eating outside in nature, so the less impact you can have it on whilst you’re there enjoying it, the better! Invest in a good blanket. 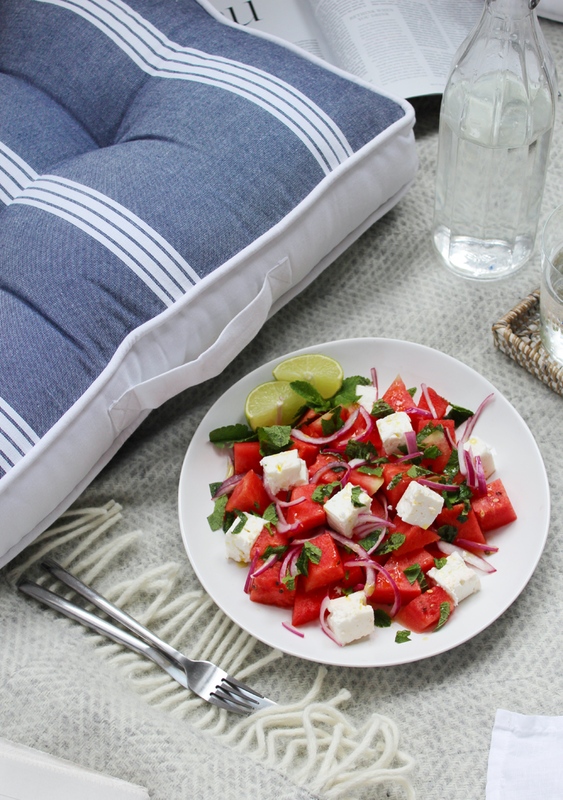 In my experience the best picnic blankets are those backed with a waterproof layer. A beautiful wool blanket is all good and well but come 7.30pm on those damp. dewey evenings it isn’t going to be your friend. If you can invest in a quality blanket and picnicware and they should hopefully see you through years of picnicking action. If you’ll be taking children (or just particularly messy eaters) there are some great wipe-clean options out there too, although these do come with a word of warning. Should you be wearing something that will have your legs coming into direct contact with it, this most definitely will not be pleasant for anyone involved. Think back to those awful lightweight kagools your mother used to make you wear in the wet summer months and I’m sure you’ll get an idea of the discomfort that lies when things are wipe clean. No matter how good your picnic blanket is the chances of it offering much in the way of comfort are slim. Bring some cushions. Everyone’s rears will thank you for it. Picnic baskets are beautiful things. Beautiful yet bulky and vaguely impractical things. Personally I opt for a tote bag. I can hang a tote bag easily, I can fold it up and I can put it a drawer, I can even use it for my weekly food shop. What I can’t use for a midweek trip to Sainsbury’s however is a large four-man wicker picnic basket. I’m nothing if not practical when it comes to storage. Wine in plastic cups with rip off lids may indeed seem extremely practical, but bottles of wine however are infinitely more stylish, let’s not kid ourselves. Picnics should be an event; a celebration of Britain finally enjoying weather worthy of a picnic! Such celebrations should not involve lukewarm wine in a plastic cup, half of which you inevitably slosh down yourself as you attempt to rip off the lid. 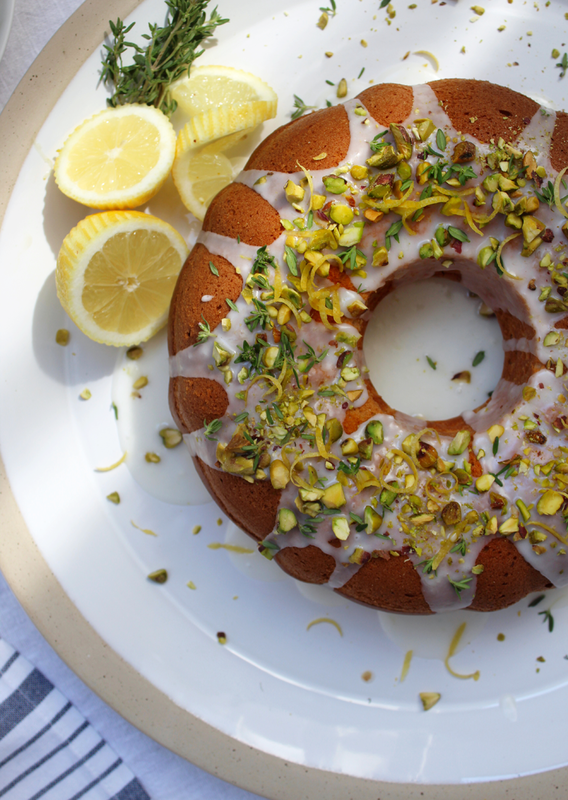 A Recipe For Lemon, Thyme & Pistachio Bundt Cake. 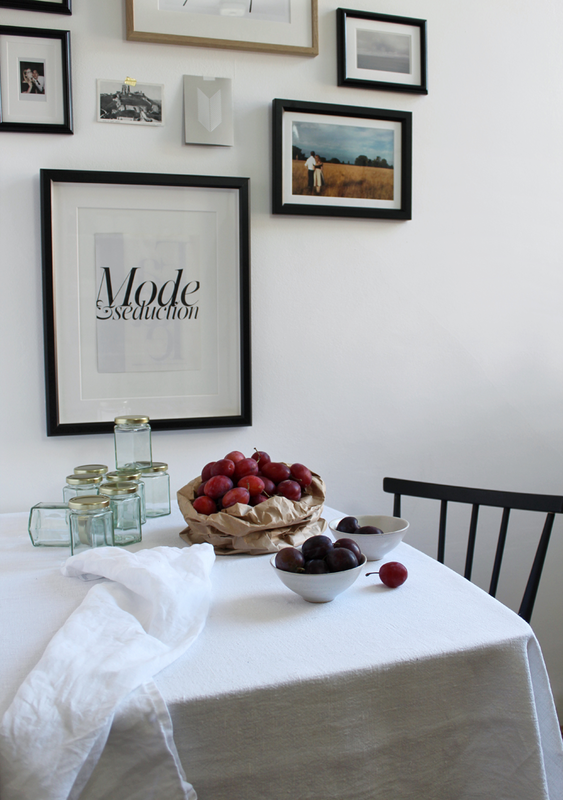 The tableware and linen used in this post were kindly gifted by The White Company. I don’t know that any taste signifies the arrival of summer quite like the sharp, fresh kick of lemon. Combine that flavour and vibrant colour with a cake and you’ve got yourself the perfect addition to a sun-drenched weekend. 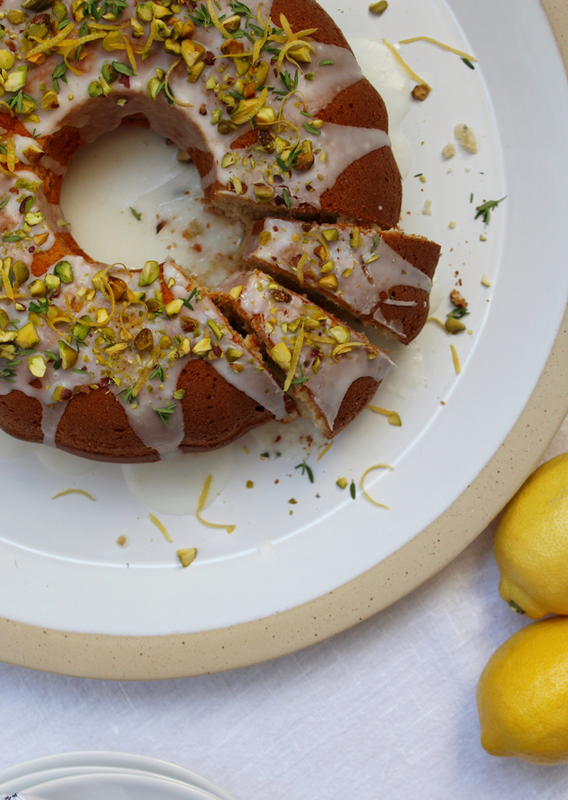 Perfect for making ahead for a leisurely picnic, this play on the traditional lemon drizzle cake combines the subtle taste of fresh thyme with the satisfying crunch of pistachio. 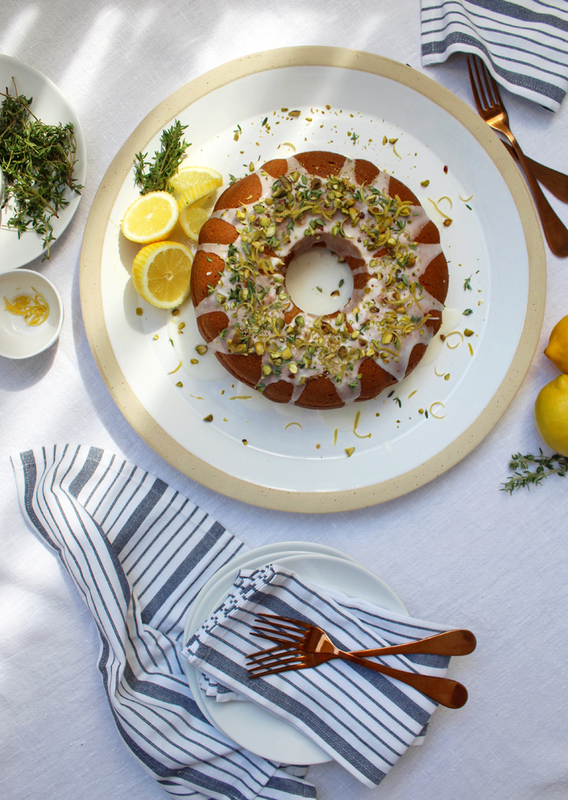 I’ve opted for a painfully Instagram-worthy bundt tin, but it will work just as well in a large springform tin too if you’ve chosen to live life without a bundt. I however love a good bundt. Excellent word that, bundt. Preheat your oven to 190 degrees / 170 degrees fan. Place a baking sheet in the oven at the same time; you’ll place the bundt tin on this when it goes in. This little tip comes courtesy of Nigella herself, so it’s an essential. Grease your bundt tin with sunflower oil dabbed onto some kitchen towel. Make sure you get the oil into every last crevice of the bundt tin. You can also use a spray oil. If you’re using a regular circular tin, line with greaseproof paper as you would normally. Take a healthy bunch of fresh thyme and remove the leaves from the stalks. I won’t lie, it’s a fiddly job. I suggest taking a large bowl to the sofa and settling down to watch some Ina Garten whilst you work. You’ll need around 4 tablespoons of leaves, plus extra for decoration. Once back in the kitchen add the sifted flour, bicarb and baking powder to a bowl and combine. In a second bowl add the butter, 250g of the caster sugar, thyme leaves and the grated zest of two lemons, reserving the third for decorating the cake later. Using an electric mixer mix the butter until creamy. Take the eggs one at a time and mix into the sugar mixture until fully combined and creamy. Now it’s time to add in the buttermilk and flour mixture. Do this in stages, a third of the flour, followed by a third of the buttermilk, mixing thoroughly between each third. When everything is combined add in the juice of one of your lemons and mix. Pour the mixture into your tin and gently tap this on the work top to remove any air pockets. Place in the oven on top of the hot baking tray for one hour. When the cake has been in the oven for forty minutes start making your drizzle. In a pan place the remaining 40g of caster, the juice of your second lemon and a splash of water. Heat until the sugar has dissolved and the mixture begins to bubble and thicken. At the hour mark check on the cake, inserting a skewer or small knife to check if it’s done. If the knife comes out clean, it’s all done. With the tin resting on a wire cooling rack gently slide a skewer or fine knife into the cake repeatedly to create small holes. Don’t go too deep, you shouldn’t reach the top of the cake, but make sure you go at least 3/4 into the cake. Now spoon over the drizzle, concentrating on the holes you’ve created. It’s likely there will also be a central crack running along the cake, perfect for spooning more drizzle down. If you’ve gone for a regular cake tin just create holes in circular patterns throughout the base. Leave to cool. If you greased the tin well the cake should easily slide out when you flip it on a wire wrack. (Fingers crossed.) Zest your remaining lemon and pop to one side. Slice and juice the lemon and combine with the icing sugar in a bowl, adding water in small amount until you have a thick yet pourable icing mixture. Use a spoon to pour this over the bundt cake, letting it trickle down the sides. Scatter over the remaining thyme leaves, lemon zest and chopped pistachio kernels as the finishing touch and leave to one side whilst the icing sets. Serve with Earl Grey iced tea.